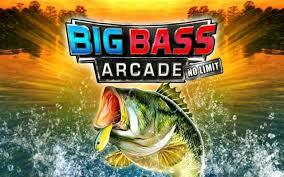 Big Bass Arcade was a good arcade-style fishing title on the WiiWare service and now we have its sequel Big Bass Arcade: No Limit on the 3DS eshop, but how does it fare against its WiiWare predecessor? Let's find out! 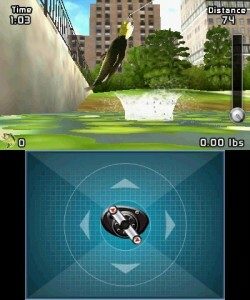 The game is very similar to its WiiWare predecessor, but adds many new features such as new fish species, lakes, and game modes! 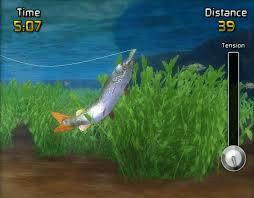 The game is actually more difficult this time around and requires alot of skill to catch fish regularly. The gyroscopic controls are nicely implemented and add much to the overall experience and winning in the tournament mode allows you to unlock a large amount of new content! The graphics in the game look decent enough and are fairly detailed and the music and sound effects are very fitting for a fishing title. There is little to complain about in-terms of the audio or sounds in the game! The game has alot of content to unlock, plenty of game modes, and many locations to fish in so the game does have a decent amount of replay value! 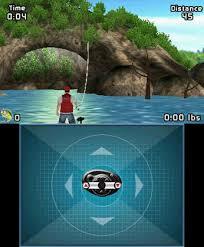 With great gameplay, a huge amount of content, decent graphics, and fitting music and sound effects the game is a solid fishing title for the 3DS eshop and is better than its WiiWare predecessor. It could have been better, but overall it's a very good game! Good review the game is quite good. I'm surprised about the score it must be better than I thought it would be! I thought that this game would receive a lower score lol. I guess the game is better than I was expecting it to be.